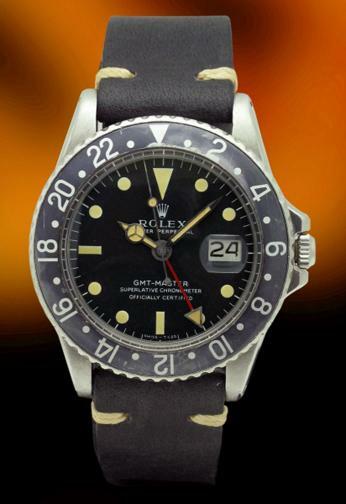 GMT 1675 Vintage Stainless Steel - Beautiful Patina dial and faded gray bezel. This is a beautiful Rolex Ref. 1675. This Vintage Rolex has a beautiful original Patina dial. The watch is in excellent condition.